Includes information on evaluating vaccine records, serology, immunization schedules, administration, and more. Department of Health and Human Services news update: "Ineffective DTaP Vaccines Manufactured and Distributed in China"
Refugee screening sites provide at least initial vaccinations. Please do no vaccinate newly arriving refugees unless you are a state-designated screening site. If you do vaccinate, particularly with live viral vaccines, this will negatively impact other important aspects of screening including screening for TB. 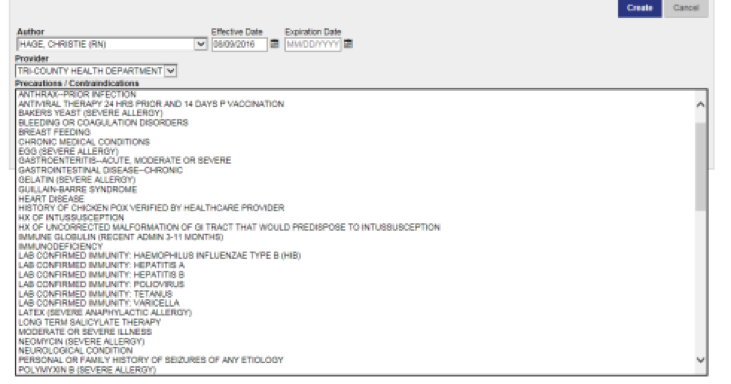 CIIS has the capacity to record titer information for the following vaccines. Check CIIS for immunity status against specific vaccine preventable diseases. If immune, do not vaccinate against these diseases and assure immunity is noted in patient’s record. Lab confirmed immunity is entered as a precaution/contradiction. For further details on how to add titer in CIIS, see below. 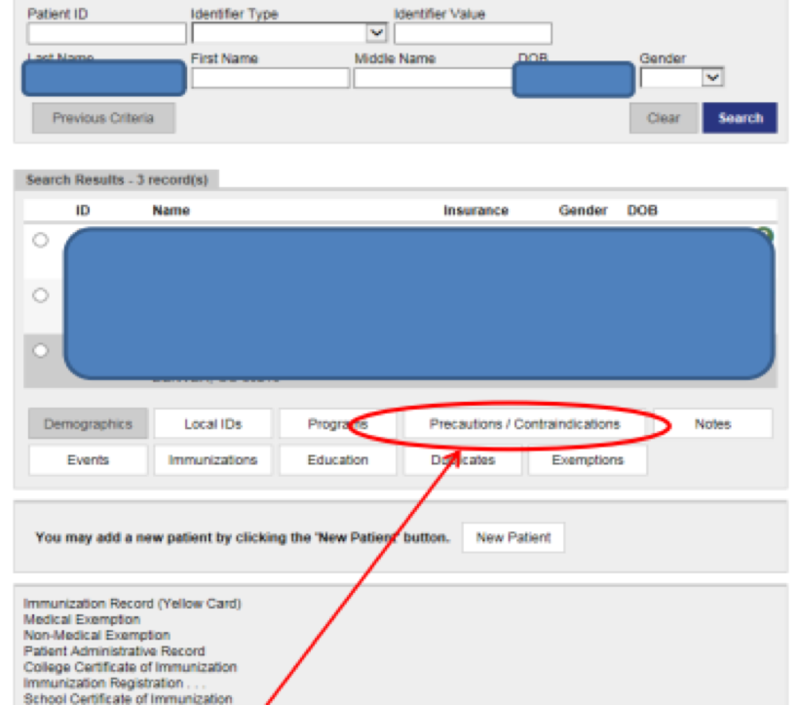 STEP 3: Using the drop-down menu, select the appropriate option for a lab- confirmed immunity. The effective date should be the date the lab test was performed. No expiration date is needed. Complete transaction by clicking the “create” button. People with HIV benefit greatly from receiving vaccines against other vaccine-preventable diseases; however, strong consideration should be given to not vaccinate with live viral vaccines unless HIV status is known. HIV testing is done at all 4 refugee screening sites. In general, people with HIV should not get live, attenuated vaccines unless the benefit outweighs the risk. Vaccines work best when an HIV-infected persons' CD4 count is above 200 copies/mm3. Decisions to vaccinate patients with HIV should be done in consultation with an expert in HIV care. Live, attenuated vaccines are contraindicated for patients with AIDS. Between 2009 and 2013, rates of Hepatitis B infections among refugees arriving in Colorado were between 3% - 4% (CDPHE). The CDC recommends that all refugees from intermediate and high endemicity countries (Hepatitis B virus surface antigen prevalence > 2%) should undergo Hepatitis B testing. Refugees who are chronically infected with Hepatitis B should receive further evaluation and monitoring. Refugees who are not immune and are not chronically infected should be offered vaccination.